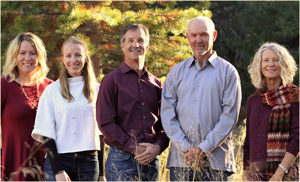 Tahoe Truckee Homes approach to listing properties for sale is, like all things with Tahoe Truckee Homes, very straightforward. Our goal is to give prospective sellers genuine, honest advice when evaluating your property. We are extremely thorough and meticulous in how we evaluate a property’s market value, making sure to consider all of the unique elements a property may bring to the table as well as investigating compatible active, contingent and recently sold properties. Position on the street, orientation to winter sun, proximity to trails, mature landscaping, street traffic, etc., all have an effect on the value of a property. After carefully evaluating your property, great attention to detail is paid when preparing to a listing to hit the market. We do this through providing any suggestions for home repairs, staging and professional photography. Next, your property will be added to our local Multiple Listing Service and pushed throughout all major online home sites like Zillow.com, Trulia.com and Realtor.com just to name a few. Depending on the marketing plan we agree to, we may advertise your property in local real estate publications in addition to implementing our full marketing procedures and sharing on all our social media channels. A correctly priced home will sell, so we can’t stress enough how important initial pricing is for a successful sale. Starting at an unrealistic price generally has a negative effect on the sales process. Tahoe/Truckee real estate is a very seasonal market, so timing is quite important. An initially overpriced home with multiple price reductions over the course of a selling season may very well result in a lower sales price than for a home that was accurately priced from the start, and in fact may result in missing the sales season all together. As much as we want to list homes for sale, we won’t take a listing if we cannot come to an agreement on listing price with the owner. Listing an overpriced home for sale will only result in frustration for the owner, a wasted investment for us, and an expired listing. Please take a minute to read our testimonials. We want every one of our transactions to end with a positive result that will hopefully illicit additional testimonials like the ones you just read, which is why we are careful about creating false expectations through unrealistic pricing. We feel that our integrity, customer service, and market knowledge are second to none, and would be glad to provide references in that regard. We would be happy to sit down with you and show you how we arrived at this valuation and to present, in detail, our marketing plan for your property.